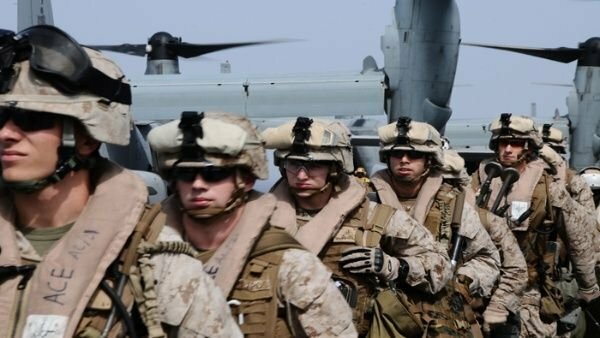 That the United States will invade Venezuela? For no one is it a secret that Venezuela is currently going through one of the worst crises in its history. I could never imagine that in my country one day we could speak of a military intervention by a foreign force. However, as a result of recent events, the possibility of that happening frontally, in a real way, has gained strength. I listen with amazement to the opinion of some people, who certainly do not live in Venezuela, to criticize harshly the declarations of the United States about the future of our country, and the possibility that they must intervene militarily to reestablish the democratic thread. I am also amazed that the same people have never stopped to think the same of the systematic occupation, which in a subtle and silent way, they are doing in the internal affairs of Venezuela, people from other countries such as Cuba, China and Russia for example. I wonder: is it that these intrusions do not count? Or is there permissible and other less permissible intromissions? Venezuelans do not want intervention of any nature, that is the truth, because they have already taken too many resources from our country, but for no one is a secret, that all attempts of Venezuelans to restore the rule of law and individual liberties have result unfruitful, along with a disaster in our economy that has impoverished impoverished all strata of our society. That Mr. Trump wants to invade Venezuela to seize our resources? Honestly I do not think so, nor I, nor thousands of Venezuelans that what we want is to end this nightmare once and for all. I think rather that the US has understood that really governments like Venezuela, Cuba and their few allies do indeed begin to constitute a threat to the entire region, for that of "tell me who you are with and I will tell you who you are"
Only those of us who live in Venezuela know what we have, but I hope that this tiny group that today still makes and unravels in my country, by some rather divine intervention, decide to leave on their own, convinced that they can not keep up in power for much longer. I dream that democracy and progress will return to my country and that there will no longer be political prisoners or people mistreated by just protesting in the streets. I dream of a civilized country and government, facing a future full of opportunities for all, and I dream of the return of thousands of compatriots, who are only waiting for what happens to happen, in the way that God have destined for us. We are prepared and anxious, but above all, hopeful. God keep us! Democracy is a brutal system by which the majority imposes their own values by use of force upon the minority. If you want freedom and prosperity, then voluntarism is the answer. "That Mr. Trump wants to invade Venezuela to seize our resources"
the worst crises in its history. What impact does that have on your daily life? are there foot shortages, violence, electricity blackouts...?